There was this boy who lived in the alleys and slept in the dumpsters...except on trashday. He was a dirty kid, about twelve or thirteen, and he was mean. Like mud mean. Mean like pinning kids down and spitting in their faces with his hot garbage breath. Mean like eating a fist full of insects and smiling at you like you came here just to watch him do it. Watch him real close as he’d gather a palms worth of centipedes, spiders, roaches, and termites. Ugly bugs with a thousand legs like eye lashes, water bugs and stink bugs that smelled like spoiled meat. A few wriggly-crawlies for good measure too, that flopped around on the concrete after he pulled em, like strands of spaghetti out of a piece of rotten fruit. That boy would just mash those bugs up in his mouth, like they were his lunch, a full wide yellow grin of bug guts. Hundreds of mashed up insect parts and pieces stuck to his teeth and gums. Segments, legs, antennas, wings and tiny heads with pinchers. Pieces of half-eaten insects could be seen skittering over his lips, darting across his cheeks, and into his crummy little ears. Others trying to plunge deep into his nostrils, or climb the soiled locks of his filthy, grimy hair. And if you caught him in the act, unapologetically stuffing his face with handfuls of bugs, he’d just stare at you with a pair of blank orbs and floating pupils that went nowhere. Like he was gazing over your shoulder and simultaneously staring right through you. An unnerving gape that seemed to focus straight towards your soul. All the while those bugs...those bugs...mashing up between those rotten teeth of his. “Buggskugg”, that was the nickname he had earned out of disgust. The neighborhood kids all called him, “Buggskugg”, because all he ate was bugs. “Buggskugg”, they called him. Those kids at school who knew he was held back a grade or two. Laughing at the boy behind his back, for not having a family and living out of a dumpster. They shoved him into the lockers when passing the boy the hallways, and they faked punches mere inches from his nose. 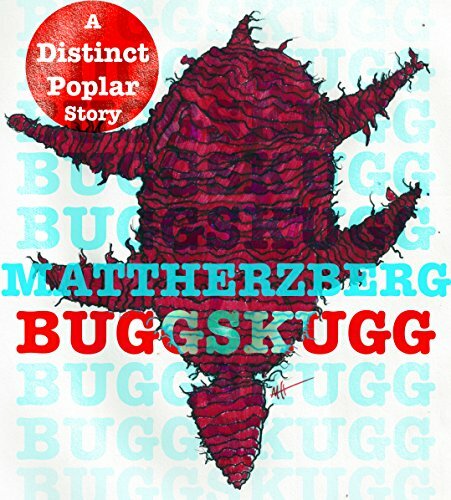 The Story Continues In BUGGSKUGG, the latest Distinct Poplar e-book now available on AMAZON Kindle.